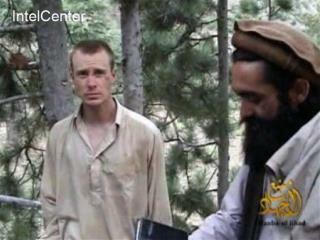 (Newser) – The Army Times adds a new wrinkle to the Bowe Bergdahl saga: It quotes officials saying that the Army sergeant may have sneaked off his base in Afghanistan more than once before being captured by the Taliban. “We have no indication that he intended to leave permanently,” says one US official. The story says there's "little doubt" that Bergdahl had left the base without permission on the outing in which he was captured, and fellow soldiers have come forward to call him a deserter. But it's unclear how the new revelation—that he had left and returned safely at least once before—fits into the narrative. My comments are not being recorded on the site. WTF, newser. Seriously, two long comments just disappeared when I refreshed the page. OK, I guess it was a glitch. In the first one I said STFU Senator Feinstein -- the part of the National Defense Authorization Act that requires Obama to notify Congress 30 days in advance of releasing a prisoner from GITMO is clearly unconstitutional. If this kind of decision is not covered by the inherent powers of the POTUS as Commander in Chief, I cant imagine what on earth would be. Secondly, it's hard to see what good this Rethug "mini-scandal" is going to do them since they can't implicate Mrs Clinton in the decision. Well Obama fan boys... I know many of you have been insisting over and over that Gitmo is a tragedy but Obama has his hands tied by the big bad GOP and can't do a dog gone thing about Gitmo. Ignoring the fact that Obama's plan was to _perpetuate_ the endless imprisonment without trial or charge and sub human treatment of the prisoners, albeit on US soil, http://www.salon.com/2012/07/23/the_obama_gitmo_myth/ and ignoring the fact that only 6 Democratic Senators voted to close Gitmo http://www.politicususa.com/2011/07/16/dont-blame-obama-only-6-democratic-senators-voted-to-fund-closing-gitmo.html Now so-called liberals... Tell me. If the President can release prisoners from Gitmo without Congress's consent or knowledge, why can't the President release the prisoners from Gitmo without Congress's consent or knowledge? I'm neither an Obama or Donkey Party fan and I find it hard to believe that they would do something this stupid. There has to be a saavy James Carvel or George Stephanapolis advising the president and Dem party. Trading 5 terrorists for 1 desserter would be political suicide.